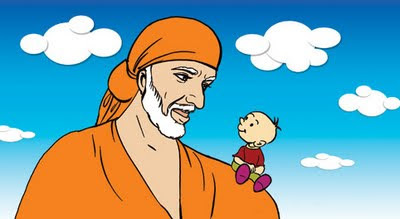 Hi i am going to tell a very small leela of Sai which happened with me. I dont know how to describe it in words but i will try my best. It was my engineering examination and i was going with my friend on his bike to our college to attempt the examination. Our college is near about 14 kilometers away from our house at the boundary of city. After we started and traveled only 2 kms towards our college, it started raining and we had stop our bike as we were getting wet and stood below the tree to save our clothes, books and other material from the raining. Time was running and we were afraid of reaching college just at the time of starting of our examination. I prayed to Saimaa to stop this rain and by remembering the name of Sai Baba, we started our bike and restarted our journey to reach the college and by the grace of Sai Baba when we traveled 2 to 3 kilometers more, the rain began to stop gradually. And when we reached at the college our clothes, books were dry as it was while starting our journey. Our attempt in exam not only in dry condition but also we were marked good. This is my story and i beg for sorry to my Sai in delay for sharing this Sai leela here as it happened 2 months ago.